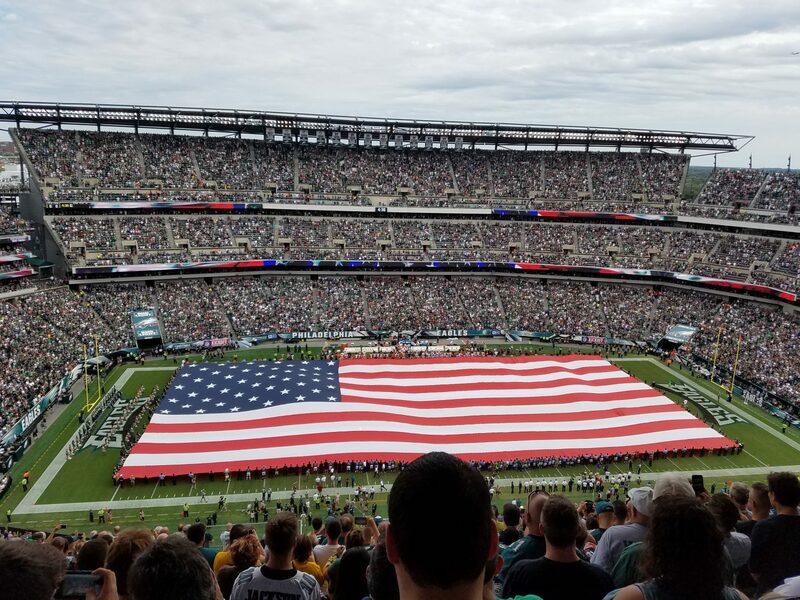 The Eagles bye week came and went (thank god there is only one a year) and while we could not watch our beloved Birds, there were still a plethora of games played last Sunday that had an impact on the Eagles playoff chances. With five weeks to go in the NFL season, the NFC East race is pretty clear – basically a two-team race between the Eagles and the Cowboys with the Giants still in the picture, albeit barely. But if the Eagles were not to secure the NFC East title, they are still in line for a possible wild-card berth, and only a game behind the Cardinals and 49ers, who are currently tied for the 2nd wild-card spot at 7-4. Unfortunately, the picture here gets much more muddled, with seven teams vying for only two spots. Last week’s outcomes brought about the good, the bad, and the just plain ugly. The good (losses by both the Lions and the Bears), the bad (wins by the Panthers, Cardinals, Niners, and most importantly, the Cowboys), and the ugly being a 26-26 tie between the Packers and the Vikings. And as we all know, a tie in football is the equivalent of kissing your sister (no offense Neelj). This week brings us the four F’s (feast, family, friends, and football) which are always a staple of Thanksgiving, and with it, the annual trifecta of Thanksgiving NFL games, which not only help to keep us entertained at grandma’s, but also keeps us aloof from partaking in more “serious” discussions like the Obamacare health exchanges, Black Friday sales, and Uncle Louie’s new hairpiece. And while none of the Thanksgiving day games could be classified as marquee matchups, two of the three (Packers at Lions, Raiders at Cowboys) will have an impact on the Eagles playoff picture, while the night game features the Steelers at the Ravens in the “Mediocre Bowl”, sponsored by the 1) turkey leftovers in your refrigerator and 2) La-Z-Boy recliners. Cardinals at Eagles 1:00 PM FOX – The Eagles are a marquee matchup for the first time since October 2012, and face what could be their toughest test of the remaining five games against a Cardinals team that has won four straight and could present a major headache for the Birds defense with wide receivers Larry Fitzgerald & Michael Floyd, coupled with the improved play of quarterback Carson Palmer, who will be making his first ever visit to play the Eagles in Philadelphia. I’d like to say that the Eagles will prevail over the Cardinals simply because eagles are “large, powerfully built birds of prey” (at least that’s what Wikipedia says) while a Cardinal keeps trying to come through my office window being too dumb to realize that there is glass there. But unfortunately, this is a very tough game to predict. While the Eagles defense will be tested, there is also the factor of teams from the West Coast not winning very often in games played at 1 PM on the East Coast. In that respect, it was a good thing that this game did not get “flexed” to Sunday night football. In addition, the Cards are generally a dome team, and will be playing outdoors in the elements of temperatures in the high 40’s. For that reason, I see the Birds winning 30-24, and extending their winning streak to four games. A win will also give the Eagles the tie-breaker should these two teams end up tied at the end of the season for a playoff spot. Broncos at Chiefs 4:25 PM CBS – Both teams sit at 9-2 and the winner will have the inside track to home-field advantage in the AFC. Saints at Seahawks 8:40 PM ESPN – Much like the Broncos-Chiefs, this game will go a long way to determining the #1 seed in the NFC. The Last Word – Rumor has it that Phillies GM Ruben Amaro will be spending Thanksgiving Day visiting 1) 55+ communities, 2) assisted living centers and 3) nursing homes. No, he won’t be there to visit family or friends, but to look for potential free agents to sign for the 2014 Phillies season. Perhaps 86-year old Oscar in the long-term care center could challenge John Mayberry Jr. for an outfield spot? This entry was posted in Eagles, football, NFL, Sports, Uncategorized and tagged Arizona Cardinals, Cardinal, Eagle, Larry Fitzgerald, NFC East, NFL, Philadelphia Eagles, Sunday. Bookmark the permalink.